Celebrate the service of Navy SEAL and Suicide Squad ally, Rick Flag. This Suicide Squad Rick Flag Pin features Rick Flag as seen in the hit Suicide Squad film. Collect all your other characters to unite the squad (sold separately)! 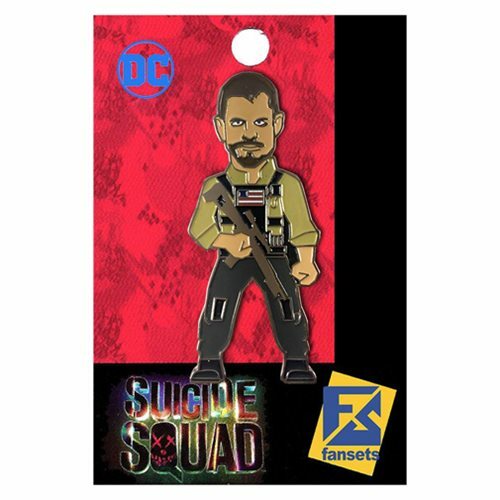 This Suicide Squad Rick Flag Pin measures approximately 2-inches tall.